Are you looking for a good Christmas gift to give you family? Why not book an Beach Front vacation rental to spend Christmas week in? Christmas in Destin is a wonderful time to come visit with the family. While many others are dealing with the snow and cold weather, here in Destin you will be loving the warmer weather. Many other families love to come to Florida during the holiday season because of the warmth and fun you can have. Let’s look at why you should spend Christmas vacation in Destin this year. If you live in the north where the streets are covered in snow, you will find the weather here in Destin to be perfect. 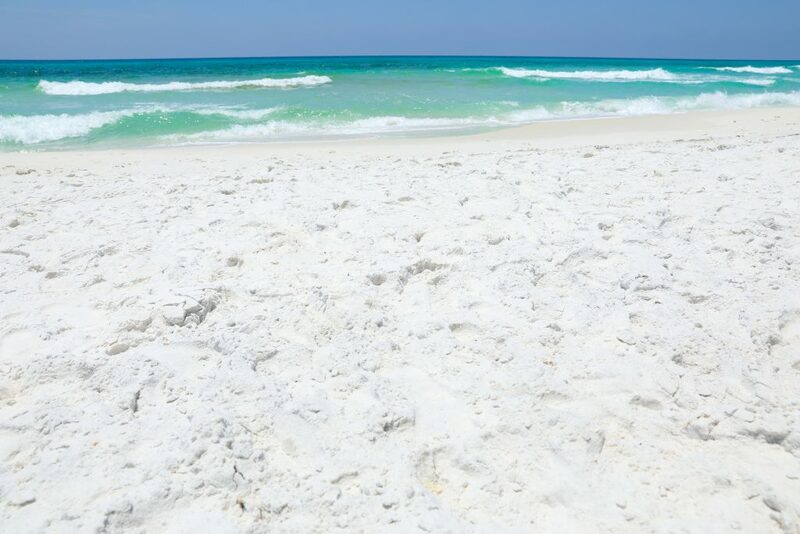 Here you can trade in the white snow for the white sands of the Emerald Coast to get your Christmas vacation started. With the temperatures in the low 60’s and not much humidity, your family will want to vacation in Destin for years to come. Spend the day in shorts and a t-shirt and the evening in a pair of jeans while you walk on the beach. When you are thinking of going on a vacation to Florida, you may think that headed to the beach is the best. But there are many other fun things for your family to enjoy and take part in for the holidays. If your family loves to skate, why not take a fun evening and spend it skating at the ice rink? 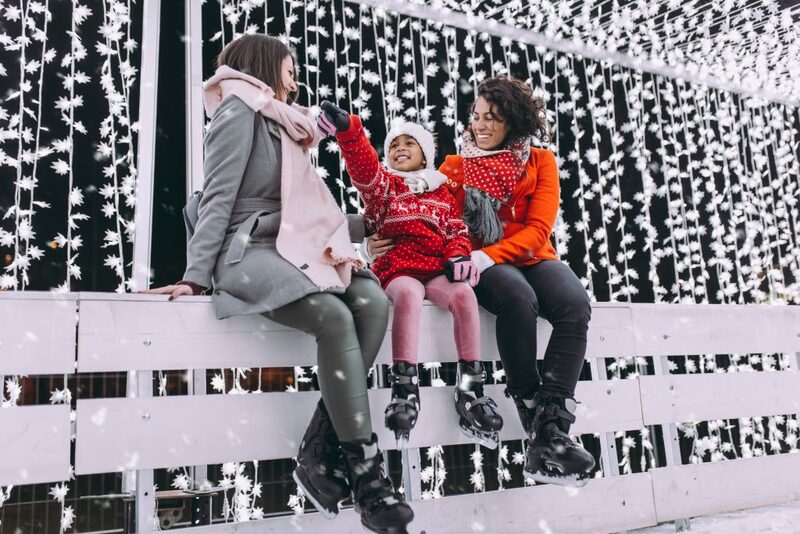 Ice skating has become a tradition for many families in Destin and your family can make it your new tradition when you go on vacation. Head over to Baytowne Village Wharf from now until Saturday, February 2nd and skate your hearts content away. This can be a fun activity for the whole family to get involved in while you are on your Christmas vacation. While there are a few water parks that are shut down for the season, there are many other ways you and your family can enjoy the water. Many of our vacation rentals have pools that you can take advantage of. And you may be able to enjoy putting your feet into the water on the beach for the day. Of course, the water may not be as warm as it is in the summertime, but it will be refreshing to enjoy a day on the beach. Since the holidays are upon us now, it’s time to take a vacation and just relax. Don’t worry about decorating your home, or about having to clean it before your guests arrive for the day. Spend your time with your family and just relax on your vacation. While the beaches are less crowded, it’s the time to think of you and your family. Just sit back, breathe in the fresh air and relax while you are sitting on the beach soaking up the sun. Enjoy your vacation to Destin this year with the family for Christmas. 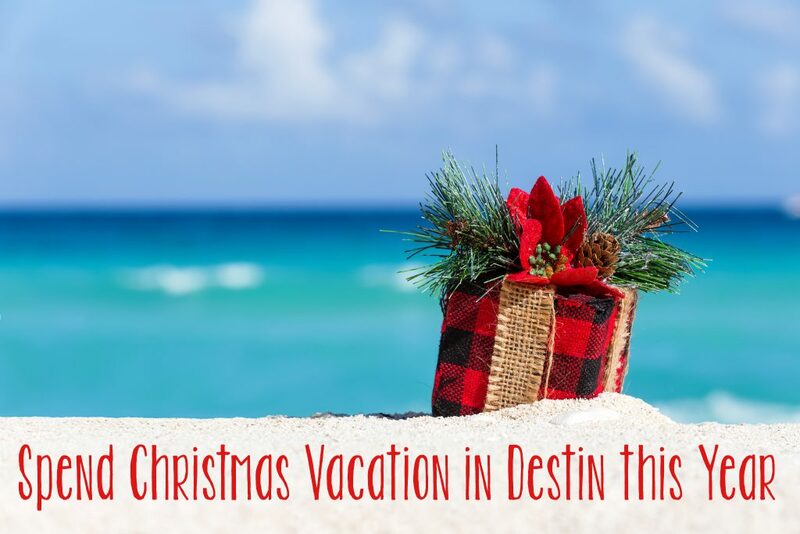 There are many other reasons as of why you should surprise the family with a vacation to Destin this Christmas, we thought that these might help you make your decision a little easier. This year we want you and your family to be able to spend the week together in a beautiful Beach Front vacation rental and relax. We hope to see you this December and this Christmas season.